As Stewardship Manager, I need to know which plants are growing in our parks. This summer, I’m doing a botanical inventory of the flora (plants) at O’Connor Nature Park, on the corner of Mead and Rochester. This park is fairly small and has no trails for access, so here is a rare glimpse into the interior of the park! The emergent marsh in the center of the park has a floating mat. Yup, it is just what it sounds like… a mat of sedges, cattail, and other plants floating on the water. When you gently bounce on it, the whole mat ripples. It is not safe to walk on the mat, so please don’t try! The emergent marsh in the center of O’Connor Nature Park has a floating mat. I found two types of cattail (Typha latifolia and angustifolia), tussock sedge (Carex stricta), lake sedge (Carex lacustris), marsh fern (Thelypteris palustris), and a few other plants out on the mat. There was a lot of green out in the middle of the marsh, so this splash of purple caught my eye. 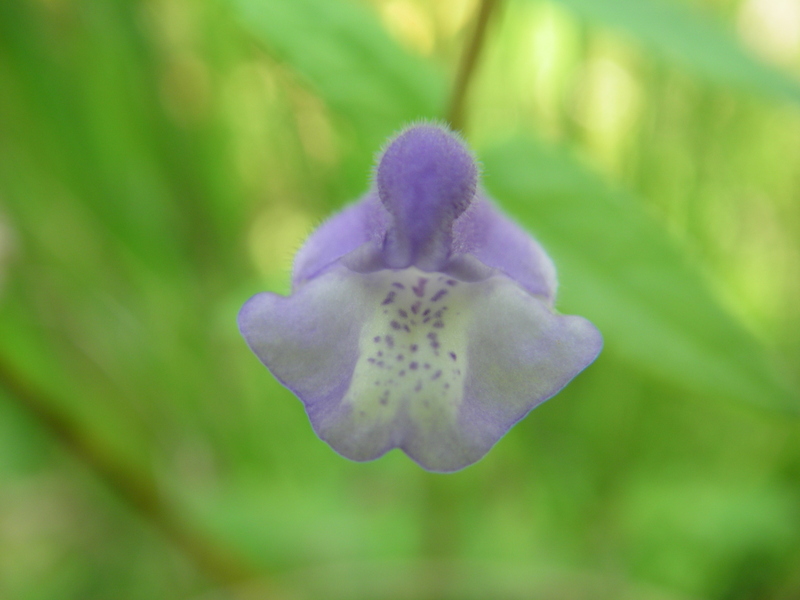 Marsh skullcap (Scutellaria galericulata) on the floating mat at O’Connor Nature Park. It was very small and hidden among the other plants. 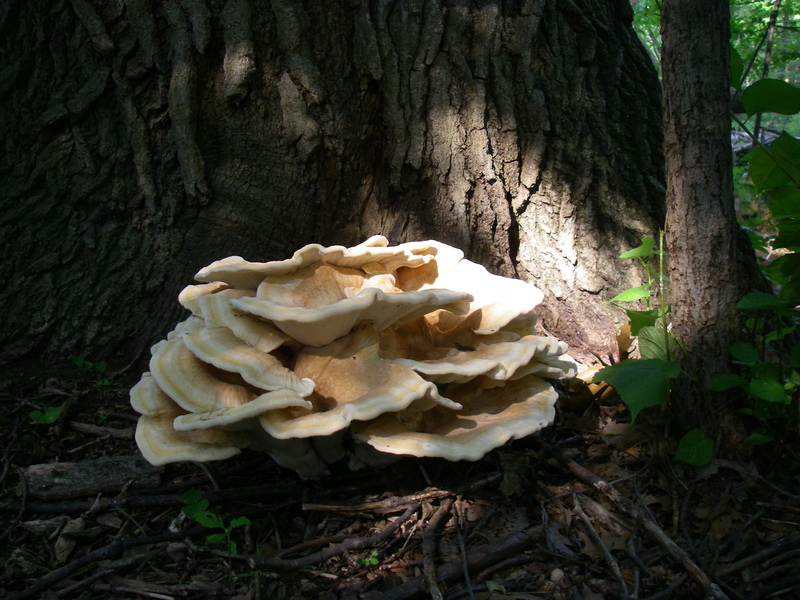 I also found a huge mushroom growing at the base of a tree. Any idea what it is? Mushroom at O’Connor Nature Park. The tree behind it is at least three feet in diameter, for scale. I also found some problems at O’Connor, primarily a growing infestation of Phragmites, or common reed (the scientific name is Phragmites australis). 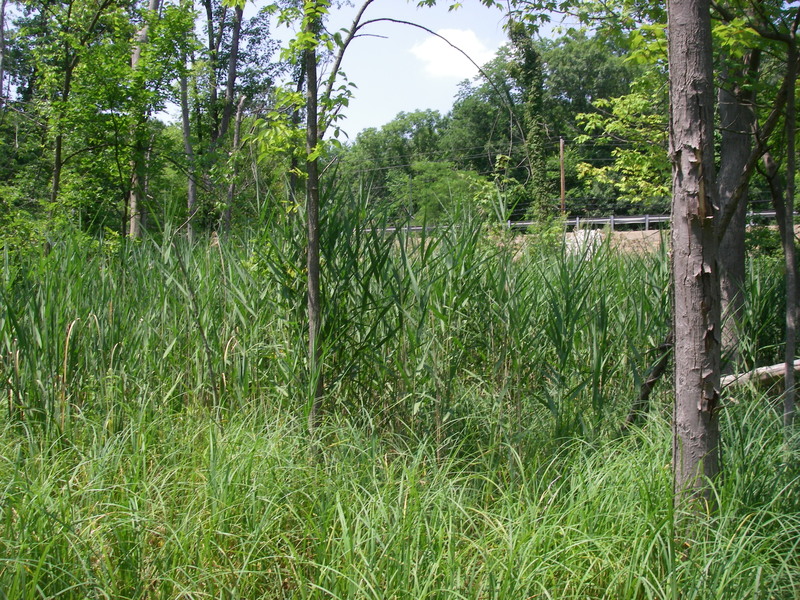 We plan to treat the Phragmites later this summer when in is flowering. If we don’t wait until it is flowering, the herbicides won’t be transported to the rhizomes of the plant, and the problem will be just as bad next year. In addition to the really obvious huge plants along Mead Road and Rochester Road, there are several small pockets of this tall grass scattered along the edge of the marsh in the middle of the park. 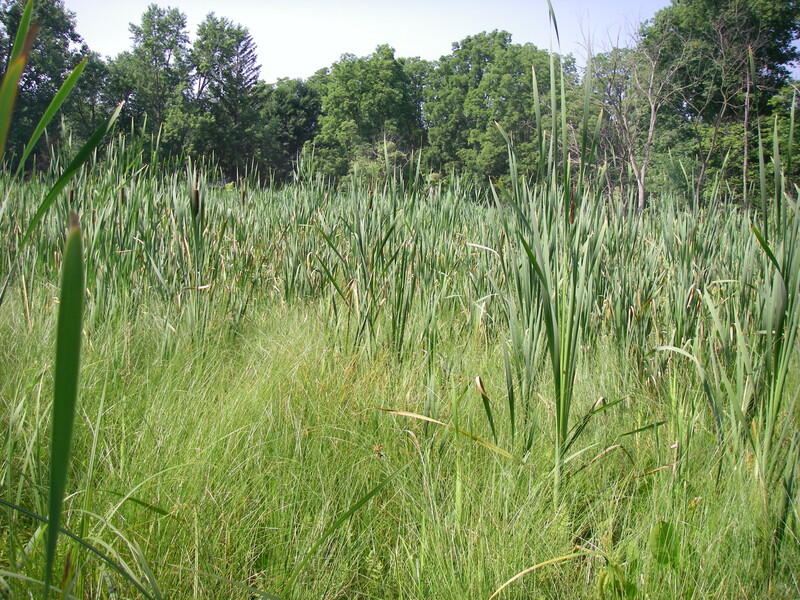 If we don’t begin to control the Phragmites this year, it will be increasingly expensive and difficult to control in the future, and the damage to our native wetland plant communities will be greater. Phragmites at O’Connor Nature Park.